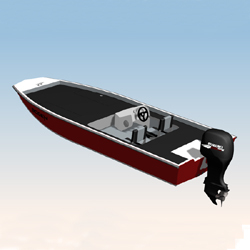 A 5.4 metre high performance aluminium Bass Boat recommended for sheltered water use. 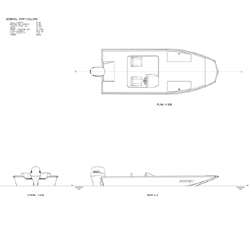 Tough 4mm plate hull is easily constructed using fully detailed plans and 3D CAD model A very practical boat, with 7 degrees deadrise on bottom. 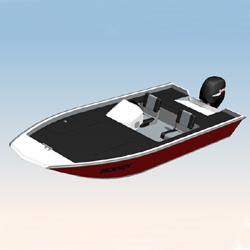 Ideally suited to bass fishing and general pleasure use in sheltered waterways. Craft has recessed cockpit and seating for two with console on starboard side. There is ample space on the fore and aft decks for chairs, locker etc and there is plenty of room for an electic trolling motor up forward. A very stable design which can be fully customised to suit the owner.